Philipp Blum: "Bring the University in 'Summer University' back!" Yesterday the Golden Times published an article about the continious and substantial decline of the number of Summer Universities. The number of announced courses fell from 75 in 2016 to 55 in this year. 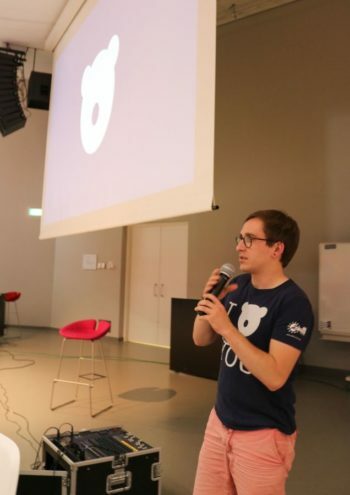 Philipp Blum, member of the Summer University Coordination Team (SUCT) for two years, has his own idea what needs to be done to stop this dramatic trend. There are less and less Summer Universities every year. In my opinion, it is caused by several factors. One that I find important and one that we could change is the lost identity and missing concept of Summer Universities. While some people try to create content, others advertise it as drinking holiday – or vice-versa. Yes, we do have structural problems in AEGEE related to internal education, but I am very positive this is getting better: The SUPS, as well as new thematic events, freelance training events and more engagement with Erasmus+ will be fruitful. What I would like to tackle is the identity of Summer University and how to unify the idea of the project again, rather than to have 50 or more cities doing whatever. Outgoing Responsibles are not advertising SUs in the way they are intended and Summer Universities are not living up to what it could be. This is a spiraling effect. The SU project is too flexible, whilst being too complicated. SC, SC+, TSU? SSC? Have you read and understood all the rules in the CIA? Summer University: 16 or more hours of tuition. Summer University Plus: 22 or more hours of tuition. Travelling Summer University: 16 or more hours of tuition, can be focused on Tourism and Culture. Should have more clear focus on Travelling. More tuition! As written above, I would not increase it so much, just a bit, for a start. 16 hours is not even 12% of the time in a week. Also, I would urge SUCT to be more strict with “What is content”. The learning objectives and the main topic should go more into the center of attention, instead of generic categories like “Sport”, “History and Culture”. A fixed maximum non-negotiable price at 28€/night. Why should the TSU have as many hours as a SU? Because 16 hours is really not that much. Otherwise I see it as a random holiday, not a Summer University. Why having a TSU anyhow? I first thought not to have TSU at all. But then there might be SUs that travel a whole country and whose main content might be the touristic aspect. What about the number of nights? 8 nights is 2 weekends, and you have to take one week off anyhow. I don’t see how shorter events makes sense. We have many weak locals that might not be able to do two weeks immediately. Bring the University in University back! The first time… was a Summer University!